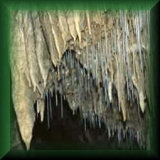 The foundation - in full TERRA Foundation for environment protection and education makes multimedia teaching and demonstrating materials which help forming a view of environment protection and learning biology. These materials - besides publications appearing on CD-ROM - are made to be available by the Internet, this server serves also for this. 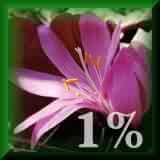 Click on the image to view the plant lexicon with photographs showing the Plant Life of Hungary. Click on the image to view the material showing the Gömör-Torna karst and the Aggtelek National Park. 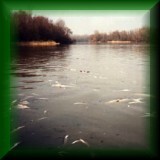 Cyanide and heavy-metal contamiations on the Tisza in spring 2000. If you would like to get further informations about the foundation, our plans, or you have proposal, notice in connection with the homepage, please write an e-mail to the terra@www.terraalapitvany.hu address, ore by mail to the post address of the foundation. If you could support the foundation in achieving its purposes by any means, please contact us by the e-mail address above or by mail. 4030 Debrecen, TĂĄtra u. 12. We have got this server as a result of the application announced for supporting civilian organizations by the Government Committee of Information Science of the Prime Minister Office within the scope of the Széchenyi Project. © 1996-2008 TERRA Foundation, All rights reserved. 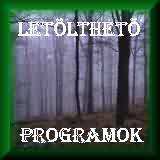 Last corrected by: webmaster@www.terraalapitvany.hu, 2004.01.02.